Answers to all the questions you may have about life at our off-campus apartments in Tallahassee. Don’t see your question on the list? Our friendly staff at The Commons at Tallahassee would be happy to answer any and all of your questions. Contact us today! I want to live at The Commons at Tallahassee. What do I need to do now? 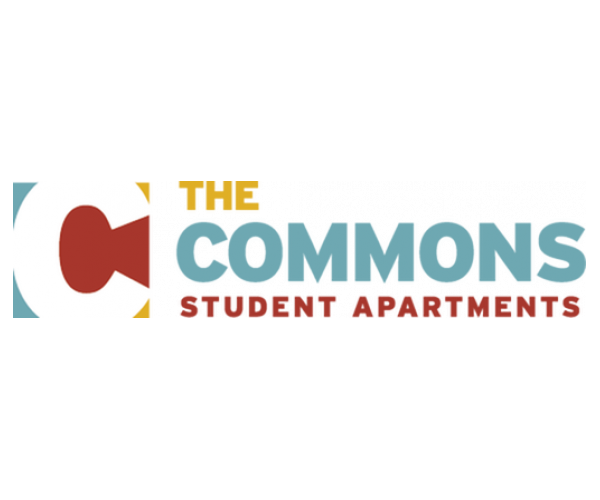 First off, we are so excited that you have chosen The Commons as your home away from home. You can ensure a speedy lease-signing process by scheduling an appointment with our office, or simply walk in at any time during our office hours. Be sure to have your driver’s license or photo ID, along with the application fee. We will then complete all the necessary paperwork and go through the lease, which takes about 30 minutes. We can also complete your lease paperwork online. To do so, begin applying online, and once you have applied we can complete all paperwork through email. What does my rent installment include? What are my lease options? We offer 10, 12, and 14-installment leases. What if I need roommates? We offer a roommate matching service. Each resident will complete a detailed roommate profile questionnaire. The Commons will then match roommates who are most compatible based on the responses regarding their lifestyle. How do I pay the rental installment or any other fees? We accept checks and money orders in the office. Payments can also be made online with E-check, debit cards, and credit cards (Visa, Discover, Mastercard). Do I have to pay a move-in fee or application fee when I sign my lease? Yes, there is a $50 application fee and no Activity or Service Fee. If I am over 21, do I need to have a guarantor? Yes. Every resident must have a guarantor. The guarantor must be at least 25 years old and a resident of the United States. If a resident does not have a guarantor, he or she must pay the last one and a half installments of his or her lease prior to move in. This payment will go toward the final two installments of the resident's lease. Can other people take over my lease? Yes, someone can take over your lease. There is a $300 fee. The new resident must come in and fill out the paperwork and be approved my management to successfully take over your lease. What kind of cable package comes with my apartment? Extended cable with HBO is included in each apartment. If you would like to upgrade your cable or add DVR, you can do so by contacting the cable company and following their hassle-free and quick instructions. •Bathroom Accessories - Shower Curtain, Towels, etc. •Kitchen Utensils – Pots and Pans, Silverware, Dishes, Cups, Bowls, etc. What brand are the kitchen appliances and washer and dryer? All the appliances are Whirlpool and full-size including a washer and dryer, refrigerator, oven, microwave and stove-top. Your bed at The Commons is an extra-long full-size. We recommend purchasing queen size sheets, to ensure your sheets will fit your bed. What type of Internet is included? The Commons offers wireless Internet throughout the complex as well as an Ethernet outlet in each bedroom. What do I need to hook up my computer to the Internet? All you need is an Ethernet cable, which can be purchased at an inexpensive price at any electronic store. To connect to the wireless you will need a wireless card. Most computers today come with a wireless card built in. What are the hours of the fitness center? Our fitness center is open 24 hours a day, 7 days a week. Residents can access the fitness center at any time using their key card. Yes, we provide one free parking permit per resident. What if I have a problem with an appliance or an emergency maintenance problem? The Commons has 24-hour emergency maintenance. We will repair all broken appliances and provide replacements if necessary.